In its latest major forced intervention in Venezuelan affairs Washington has now allowed Venezuela's pro-Guaido opposition to take control of diplomatic properties. 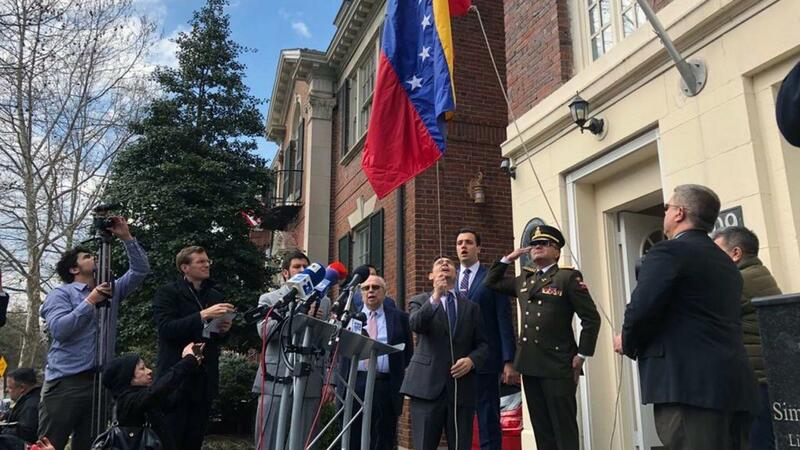 Reuters reported this week that opposition representatives are now in control of three such Venezuelan diplomatic properties in the US - two buildings belonging to Venezuela's defense ministry in Washington and one consular building in New York - confirmed by Guaido's US envoy on Monday. The US State Department has welcomed the move, encouraging the seizure of Venezuela's embassy in Washington from the UN-recognized government of "illegitimate" President Nicolas Maduro. Guado's representative, envoy Carlos Vecchio, said Monday the opposition group plans to take control of the embassy itself in Washington "in the days to come." "We are taking these steps in order to preserve the assets of the Venezuelans here in this country," Vecchio said while speaking from the office of Venezuela's military attache to Washington. 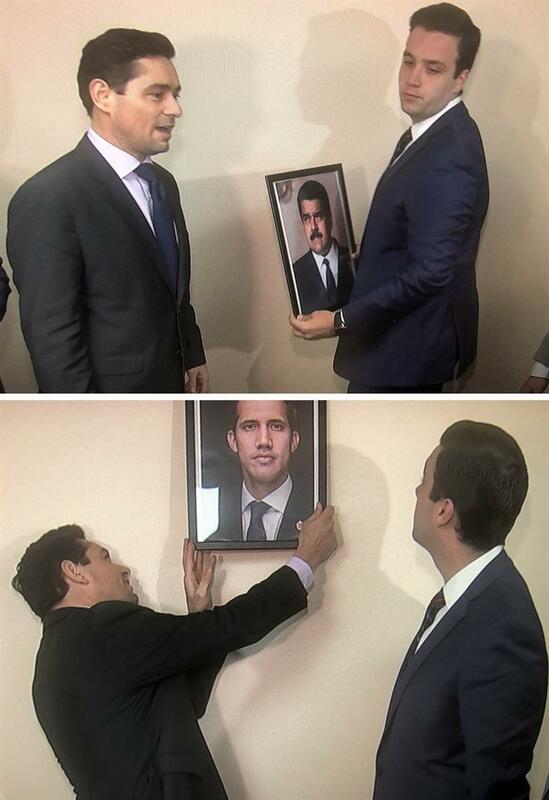 According to Reuters the opposition's first act was to remove Maduro portraits from the buildings and replace them with Guaido images, photographs of which was then circulated among western media. To be expected, a US State Department spokesman told reporters the United States was "pleased to support these requests" regarding takeover of consular and other offices from Caracas' oversight and security. This comes following the US withdrawing all of its own diplomatic and State Dept. personnel from Venezuela last week. Venezuela's foreign ministry was quick to condemn the "violation of international law" regarding the buildings, urging US authorities to "take the necessary measures to immediately reverse this forcible occupation" of its diplomatic offices. Meanwhile Washington continues to seize Venezuelan assets, the latest of which are financially-troubled Citgo refineries- all of which Vice President Mike Pence weeks ago expressly stated would be transferred to the Venezuelan opposition under Guaido. Late last month Pence said while meeting with Guaido in Colombia: "We will work with all of you to find every last dollar that they stole and work to return it to Venezuela."